It seems to be inspired by Homunculus’s “Girlfriend” (Renai Sample). Warning: The sukumizu on page 1 is false advertisement. 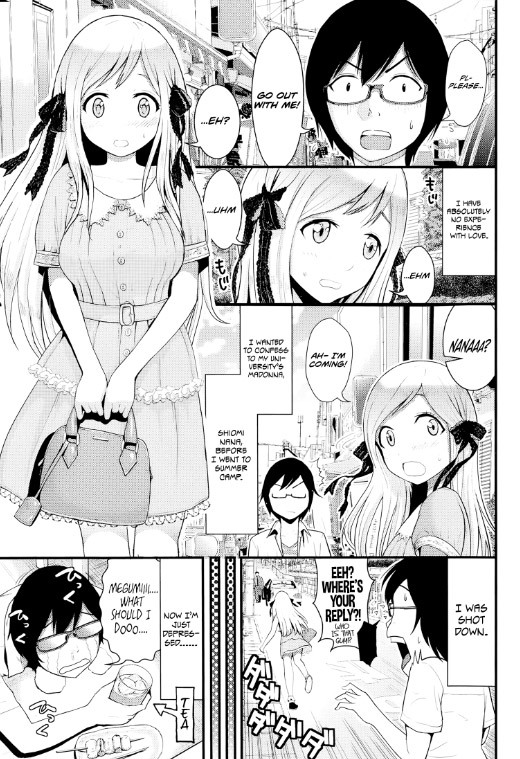 The sixth chapter of Tomono Hiro’s tankoubon “Hoshigari Girlfriends – Wanting Girl Friends” (ほしがりガールフレンズ). Originally published in Penguin Club Sanzokuban 2014-07.